WE WILL REMOVE YOUR PRE-OWNED USED RESTAURANT EQUIPMENT! Option 1: We will remove your pre-owned Used Restaurant Equipment for FREE! Option 2: We will purchase from 1 piece to the Entire Stock of Equipment. We have successfully liquidated many Restaurants that have closed down, sold off equipment, or refromatted/updated their kitchens – both small and large Food Service Operations! From Deli’s, Catering, Bakeries, Chinese Restaurants, Pizzerias, Diners, Bodegas, Taverns, Fast Food Operations, Ice Cream Stores, Liquor Stores, Nursing Homes, Schools, Fish Outlets, Butcher Shops, Cookie Retail Stores, and many more! We will remove all your equipment, advertise and sell them for you. There is a 50% Commission fee. You can set the pricing or give us an idea of what you’d like to get from all the equipment. Pierce Equipment will work out the details with you. If discussed prior to removal of equipment we will cap any pipe connections or cap off any water lines that need to be capped. When removing hoods we will cap the roof, if need be. 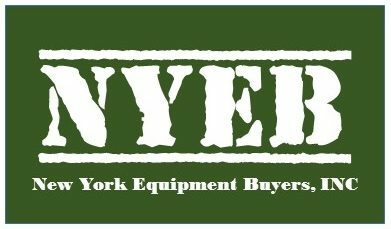 NY Equipment Buyers will remove all equipment in a professional manner. We will perform a full-fledge Liquidation Auction for your entire Restaurant/Food Service Facility. We have a feature-rich and robust auction platform, with professional and friendly staff capable of handling everything from inventory, cataloging, photographing, and creating the listings & descriptions of all lots. We then use our robust platform to seamlessly execute a Timed or Live auction, and market the auction throughout the country through our website, mobile apps, and auction partners! Our professional and friendly staff will even package and palletize items for shipping, arrange freight shipping, and ensure all equipment is removed by the premises at the designated time. Please ask us about our auction services, TODAY! Is the place (where the equipment is located) closed? If no, when is it closing? Does the landlord know you are moving? Try to include: description, size, voltage, model, serial numbers, approx. age of equipment, price you want for the item, owner of equipment (just in case they need to be contacted) and any other circumstances that may arise. Please send digitally cropped photos that can be seen on a computer screen, preferably no larger than 800×600 pixels (72 dpi). If you don’t have photographs of the equipment let us know! At times, if necessary, we’ll come out and photograph the equipment for you. Tips: Sometimes, landlords will lock you out of the premises, if they know you are planning on moving or leaving. We do remove equipment on weekends and during the night to avoid this happening in certain situations. Please make us aware of what may happen. Landlords will call police and sheriffs too, to stop any removal of equipment. The best scenario to remove your equipment without a big problem is to tell us everything we need to know beforehand, to avoid these types of situations for all concerned. About 95% of the items we remove are removed without any problems.